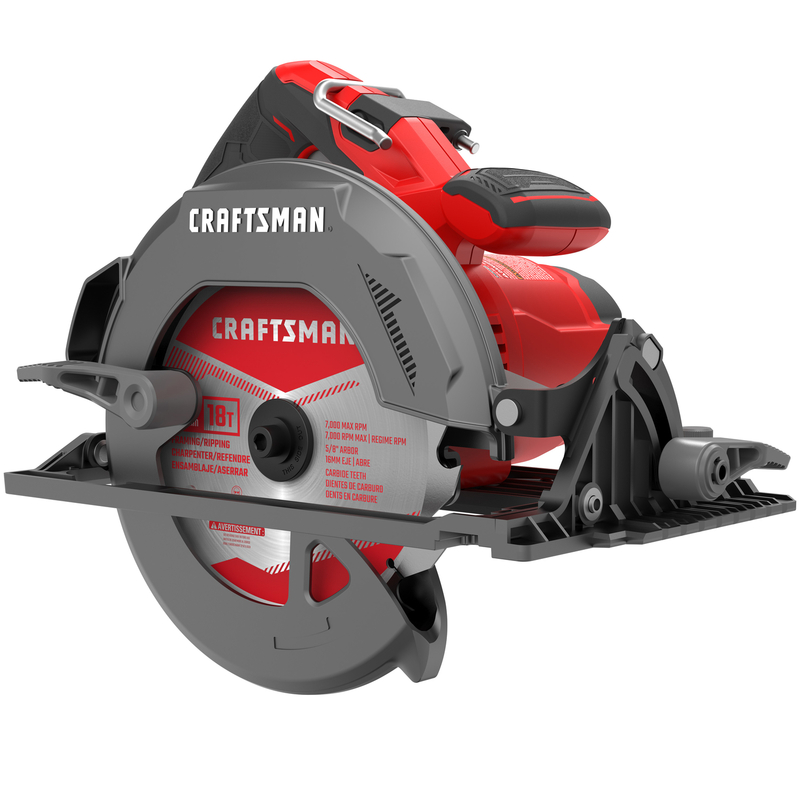 This Craftsman 15 Amp Corded Saw delivers the power needed to complete everyday tasks. The high performance 5,500 RPM motor is ideal for fast and aggressive cutting. Make accurate angled cuts with the 45 degree bevel capacity. This saw has a spindle lock mechanism for easy blade changes ensuring user convenience. With a pro grade magnesium shoe and metal top guard, this saw is made to withstand harsh jobsite conditions. The compact and lightweight design helps reduce fatigue while the contoured overmolded handle is optimized for comfort. High performance motor runs at 5,500 RPM&#39;s for aggressive fast cutting. 7-1/4 in. 18T carbide blade with up to 2-1/8 in. capacity for 2x material. Tool-Free beveling shoe pivots up to 45 deg. for angled cuts. Metal top guard for added durability.